"BK-201? I know the rumors. That he's cursed, shadowed by riddles and death." 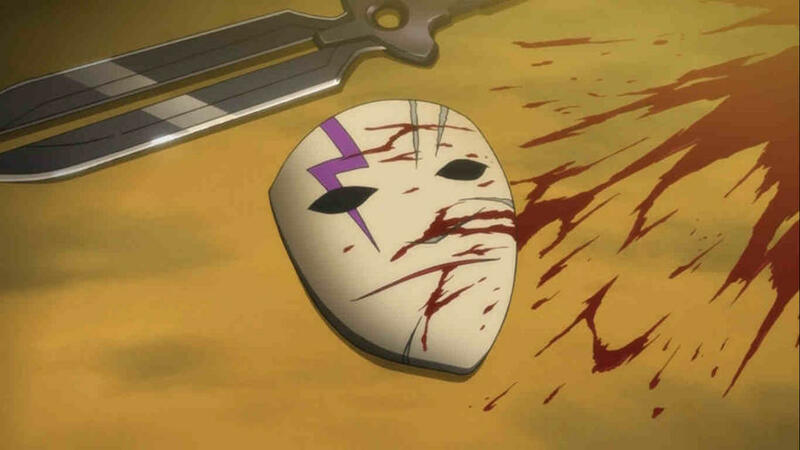 In the brutal anime world of Darker Than Black, an unassuming Chinese student moonlights as a superpowered international assassin with a cool mask and a huge knife that doubles as a grappling hook, all so he can hunt down and kill other superpowered individuals like himself. To some, he’s a myth. To others, he’s quite literally the “Black Reaper” that he’s so often called. The protagonist Hei — which literally means “black” in Chinese — is something of a brutal anti-hero. He goes undercover as a shy student in Japan so he can hunt down other “Contractors” like himself that have special abilities, all at the behest of a shadowy organization called the Syndicate. Hei is a much darker kind of superhero, one that routinely uses his powers of manipulating electricity down to the molecular level in order to kill people. He starts out the series as something of a pawn, but over time grows in his agency into his own brand of hero. Darker Than Black is by the same creators behind Cowboy Bebop and Fullmetal Alchemist, and it’s an anime you can watch in action on Hulu right now. So it’s most definitely worth your time. Darker Than Black might have a trite premise for an anime: exploring a prosecuted minority of superpowered individuals through the eyes of one special case (see: Ajin: Demi-Human, Tokyo Ghoul or any X-Men thing ever); but Darker Than Black predates the more recent trend and thrives with dazzling action sequences and intriguing variation among the many superpowers featured. Some powers are typical, like the manipulation of water or fire, but many deal with the manipulation of matter or gravity, or even the creation of vortices. The source of these many powers comes from a large-scale celestial event: Ten years prior to the start of the show, two massive, supernatural territories called Hell’s Gate in Tokyo and Heaven’s Gate in South America appeared, creating areas where the laws of physics were void. They blotted out the stars, replacing them with fake versions. Every new star came to represent one of the newly created Contractors, and their unique abilities require “Obeisances,” or bizarre, compulsive payments in order to use their powers. One contractor’s blood is explosive at the snap of his fingers, but he has to bleed in order to use it. Another can disintegrate matter but must consume small, round objects. Yet another can alter atmospheric pressure at will but has to consume alcohol. Many of these payments are related vaguely to the seven deadly sins (mostly gluttony) or other lesser vices. Hei's pierrot-inspired mask conceals his face when he's out on missions. Hei, for whatever reason, has no Obeisance, but it’s the procedural exploration of new powers and their payments in a “Freak of the Week” format that builds Darker Than Black’s intriguing world in each episode. It also gradually reveals the serialized story of Hei’s dark past in a spectacular fashion. While Hei carries out missions assigned via his team, mainly from a human named Huang and a Contractor trapped in a black cat’s body that goes by Mao, he also works against and sometimes alongside the police, who are able to track the activity of Contractors by their corresponding fake stars. As such, Hei’s Black Reaper is often referred to by his star assignment: BK-201. Season 1 takes place entirely in Tokyo and sees Hei gradually uncover the true nature of the Syndicate, working with his close allies and even the police to foil a plot that could destroy the world. In Season 2, Hei’s adventuring abroad two years later, facing off against all-new Contractors. With a colorful cast of characters and awe-inspiring action sequences, it’s a shame Darker Than Black isn’t more talked about as one of the best adult anime to come out of the late-2000s. It’s dark and brooding and despite being bloody and violent, it doesn’t dive into full-on gore in the way that some more contemporary gore-tastic fare — like Attack on Titan or Tokyo Ghoul — does. In that way, it’s a bit more refreshing than a lot of popular anime today by straddling that thin line between maturely violent in a sophisticated way and needlessly gory for shock value. 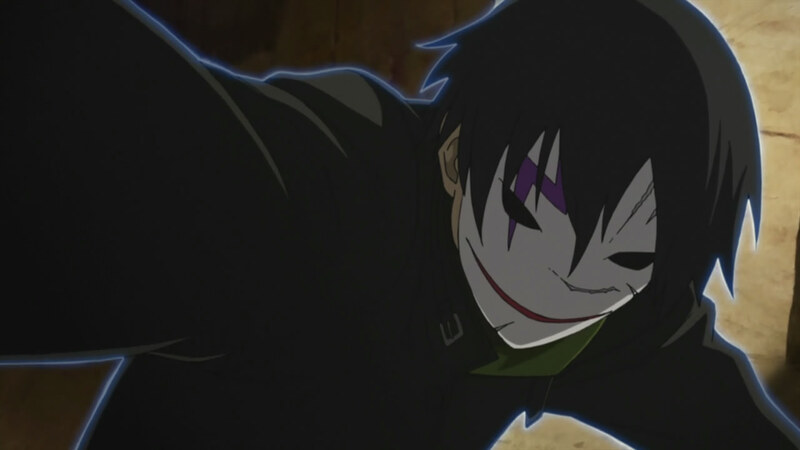 Watch all of Darker Than Black’s first and second seasons with subtitles on Hulu right now.